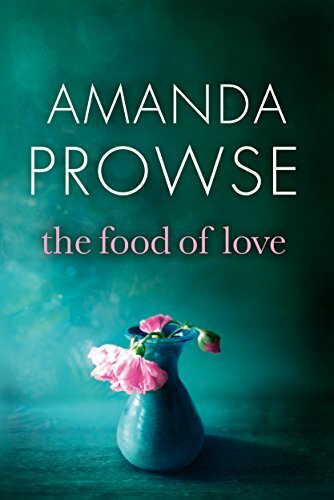 In The Food of Love, Amanda Prowse has written another superb insight into a normal family whose life has been unexpectedly and dramatically turned upside down. Freya is very content with her family and her life. She adores her two teenage daughters and is still crazy about her husband Lockie. Then, out of the blue, their happy family is sent reeling when it becomes apparent that her youngest daughter Lexi is having issues with food. This is particularly ironic as Freya is a food writer and Lockie photographs food for magazines. She has always tried to make sure that her family eats healthily and it hasn’t crossed her mind that anyone in the family would ever have problems with food. The book follows the heart-breaking journey of the family as Lexi’s battle with food takes her to the brink and back so many times. What Amanda Prowse does so brilliantly as always, is to write about a family which could easily be mine or yours. I have two teenage daughters pretty much Charlotte and Lexi’s age and I have been married for 19 years, just like Freya and Lockie. Anyone with teenage daughters will know how important body image is to them and will no doubt worry about the unrealistic images presented in the media. They will also know, like Freya, how sometimes you feel like you are walking on eggshells trying to give advice without coming across as preachy. I could sympathise with Lockie initially wondering if giving Lexi’s condition a name was in fact pandering to her and making it more of an issue than it was. And I could definitely relate to Freya who was just bewildered by what her ‘baby girl’ was doing to herself and, though terrified, was sure that she could help her through this difficult time in her life. My heart also went out to older daughter Charlotte, sitting her A-levels, applying for university and feeling she was being neglected by her parents whose focus was understandably on her sister and her problems. I felt so many emotions when reading this book and felt like I had lived through the fear, worry and dread that it was all a never-ending cycle along with Freya. Amanda Prowse is so skilled at taking a situation and putting her reader right there experiencing everything alongside her characters. I am thankful that eating disorders are not something which have affected my family but am all too aware how easily it could happen to anyone. This novel, which must have been so carefully researched, was a real insight into what it must be like living with this condition and how it affects all the members of the family, not just the person battling the condition. I genuinely could not put this book down, reading late into the evening then picking it up again as soon as I awoke the next morning. The situation and characters played on my mind and I found it a totally compelling read. Once again, Amanda Prowse has proved that she can get right to the heart of contemporary issues and make her reader understand more about situations which could affect any one of us. Incredible book isn’t it? I didn’t realise your girls were so grown up now! Yep – one heading for Uni next year! This is an awesome account, and definitely makes me want to read the book! Thanks for sharing!